Mexican authorities have now concluded that Ms. Ximena Osegueda, 39, a University of British Columbia graduate student, and Mr. Santamaria, 38, were victims of a gang-related theft and murder. It is believed the two were killed on, or shortly after, December 14, 2011. At a press conference, Attorney General for the State of Oaxaca, Manuel de Jesus Lopez Lopez, alluded to reports that Canadian tourists might boycott the resort area of Huatulco, near where the crime was committed. Citing the assistance of Mexico’s federal Attorney General’s Office (PGR), the Oaxacan authorities said that they had detained five gang members, among them three women, and that three others are still on the run. 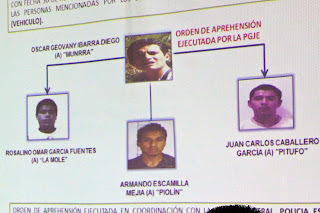 Specific to the murders, the prosecutor said that those who allegedly took the lives of the couple were: Oscar Geovany Ibarra Diego; Juan Carlos Solís García (or Juan Carlos Caballero García); Armando Escamilla Mejía; and Omar Rosalino García Fuentes. 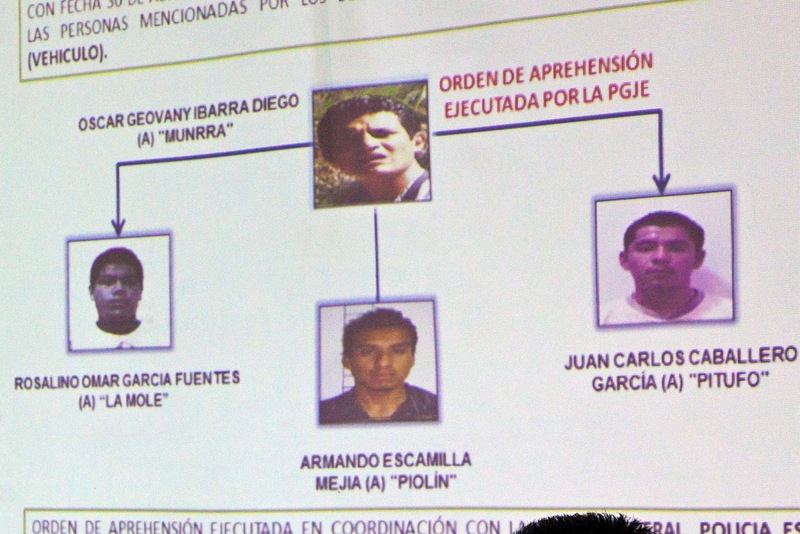 Oscar Ibarra Geovany Diego is in custody, and the remaining three are still fugitives. The other four who are already in detention are: Nardy Antares Durán Castillo; Mitzy Daniela Castillo Cruz; Araceli Ivett Casco Estrada; and Irasema Sánchez Santa Rosa. Authorities noted that the capture of Oscar Geovany Ibarra Diego, known as “El Munrra”, resulted from cooperation between federal and state police. They also said that statements from detainees led police to where Carmen and Alejandro were buried, near Punta Arena, Huatulco. 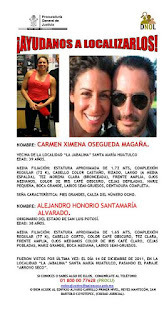 However, the CBC had earlier reported that it was Ximena Osegueda Magana's ex-husband, Jacy Wright, as well as her brother, who located the bodies with the aid of a dog Wright had purchased for Carmen to keep her safe. 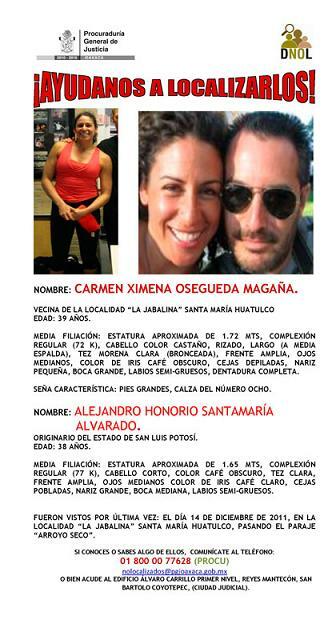 Carmen and Alejandro were last seen in a red two-door 2012 Chevrolet compact in the Punta Arena area. The brand new car had no license plates, but did have a GPS system. Soon after her disappearance Carmen’s family's house near Punta Arena was ransacked, but with no sign of forced entry, suggesting that the thieves were in possession of her keys. 20,000 pesos (C$1,500) was also withdrawn using the couple’s bank cards. Within a week of their disappearance officials tracked the vehicle via its GPS, finding it in the colonial City of Oaxaca, 350 kilometres from Huatulco. Inside that vehicle, investigators discovered a sales receipt from a butcher shop nearby. The shop had closed-circuit camera, and investigators established that the purchase was made by Enrique Calderón Cabrera, an old boyfriend of Rosita Castillo, both of whom have since been murdered. The investigation has also expanded to include the murder of another gang member, Salvador Leyva Alvarado. 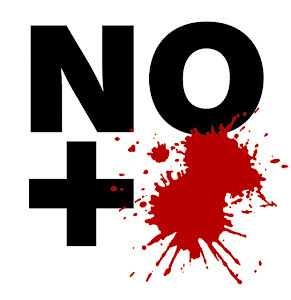 Calderón Cabrera and Castillo were killed execution-style, with their bodies dumped earlier this year en route to the Monte Alban archeological and tourist site. Leyva Alvarado’s body was found at an address know to be used by the gang. Authorities believe all three were murdered as a result of scores being settled within the gang.